U.S. Senate candidateRep. Beto O'Rourke campaigns at Bert Ogden Arena on Thursday, Oct. 18, 2018, in Edinburg. Primary elections in the Rio Grande Valley usually matter most, with Democrats almost always representing the region in Austin and Washington, leaving lawmakers and voters with answers long before November. If the conclusion is inevitable, what’s the point in voting? Democratic Senate candidate Beto O’Rourke is hoping to burst through the lack of competition in the Valley and inspire the region to show up at the polls in record-shattering numbers to overcome incumbent U.S. Sen. Ted Cruz. After all, there are hundreds of thousands of registered voters in South Texas, and 10,000 more people have registered to vote in Hidalgo County since the March primary. O’Rourke has drawn up to 2,000-person crowds in recent visits here — nearly 10 of them in the last 20 months. Hinojosa and U.S. Reps. Vicente Gonzalez, D-McAllen, and Filemon Vela, D-Brownsville, who have all participated in some of these events, said they’ve never seen crowds like these in the Valley. However, Hinojosa and Vela have almost never faced a serious Republican challenge (Gonzalez is running for his first re-election, against a mostly anonymous Republican opponent). Hinojosa won his 2016 general election by more than 20 points; Vela won his by 25; and Gonzalez won his inaugural election by nearly 20 points. The state representatives have hardly had competition, either. In 2016, more than five state legislators in the Valley ran unopposed in the general election. A couple who did — state Reps. Bobby Guerra, D-McAllen, and Terry Canales, D-Edinburg, both won by double digits. There was some talk in McAllen about how Guerra’s race ended up being fairly close. He won by more than 13 points. State Rep. Armando “Mando” Martinez, D-Weslaco, didn’t face opposition in 2016. A lack of competition “surely plays into turnout,” he said. 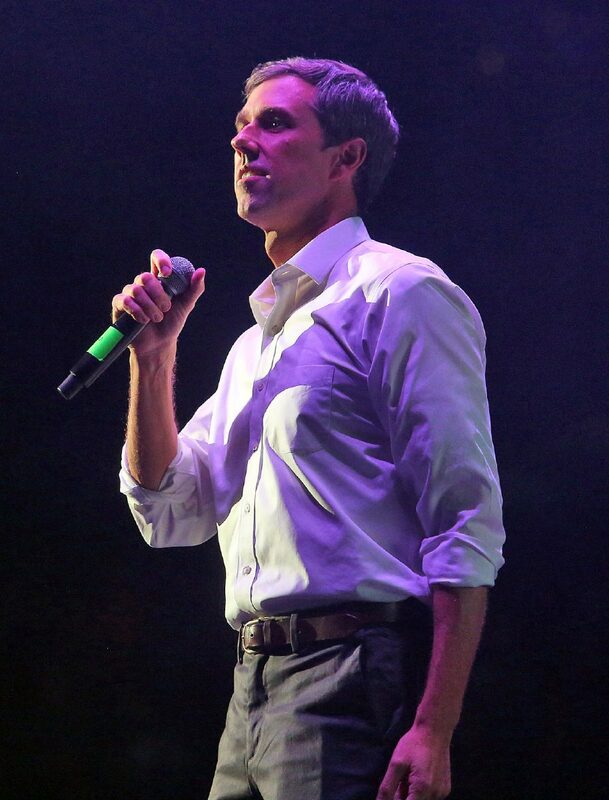 “But the reason that people are going to be turning out this year is because of the energy and what Beto brings to the table,” Martinez said. “The Valley is forgotten because it’s reliably Democratic. But Beto continues to visit and has energized not only the base, but the community and the people. He hasn’t taken it for granted. Cruz has held just one campaign event here since March, when he was endorsed by the Border Patrol’s 18,000-member labor union at its Edinburg office. He flew in for a fundraiser earlier this month, and plans to return on a bus tour during early voting. This election is entirely about turnout, Cruz said in a recent interview. Cruz hopes there’s high turnout across the state, because “there are more conservatives than there are liberals.” Apathy in red pockets of the state concerned Cruz on the campaign trail earlier this fall, he said. That same apathy is what O’Rourke is trying to fight along the border. O’Rourke’s desire to see high turnout in the Valley is clear by the amount of visits he’s made. O’Rourke visited South Texas twice in the last week, with more than 1,000 people at each stop. Hinojosa has seen large crowds, but the end result is the question. O’Rourke has emphasized repeatedly how he doesn’t take the Valley for granted, which is why he continues to show up here. And taken for granted is what Hinojosa believes is the problem with the Democratic Party’s relationship with the Valley.